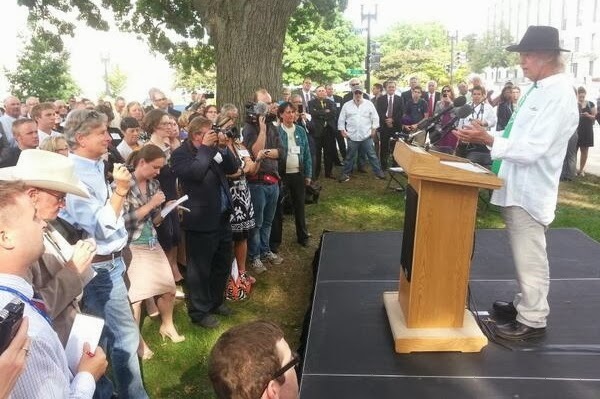 For a very up close and personal look at Neil Young's recent visit to Washington, DC for a press conference for the National Farmers Union, tumble over to The Passenger Chronicles. The Driver [NY] had a lot on his mind. We talked about the events of the time I’d been away, about the message of Lincvolt, the film we are making, the lessons of Fort McMurray, the need for awareness and choice, the future of our people, and we talked about songs that live at the very awakening of our social and political consciences - we covered a lot of territory. The beautiful fields of Ohio made way for the Pennsylvania roll. Damn America is beautiful. Enjoy the full tales of The Passenger Chronicles (pt#1) and Part #2.